Jen Cloher is undoubtedly one of Australia's greatest and most trustworthy leaders in the music industry, and says, "I've always gravitated towards my musical sisters." The first thing that strikes you about Jen Cloher is how gently and softly spoken she is. Seriously, after just one phone call, it is a compelling notion to call her back and listen some more. And then ask her over for tea so she can speak in her signature heavenly reassuring tone some more. And yet, despite the lightness in her voice, Jen is one of the strongest and most important influencers in the music industry in Australia. Perhaps even beyond our shores. Jen Cloher is largely known as a singer/songwriter and a longstanding independent artist, but is also a very important leader in the industry. She created a series of workshops called I Manage My Music which aim to help independent artists and those who who are self-managed to navigate their way through the tricky obstacle course that is getting one's music to market. Not only that, Jen - along with her business and life partner, Grammy nominated artist Courtney Barnett - run a very successful record label called Milk! Records. Jen has priceless insights into the unique musical landscape of the Australian music industry. 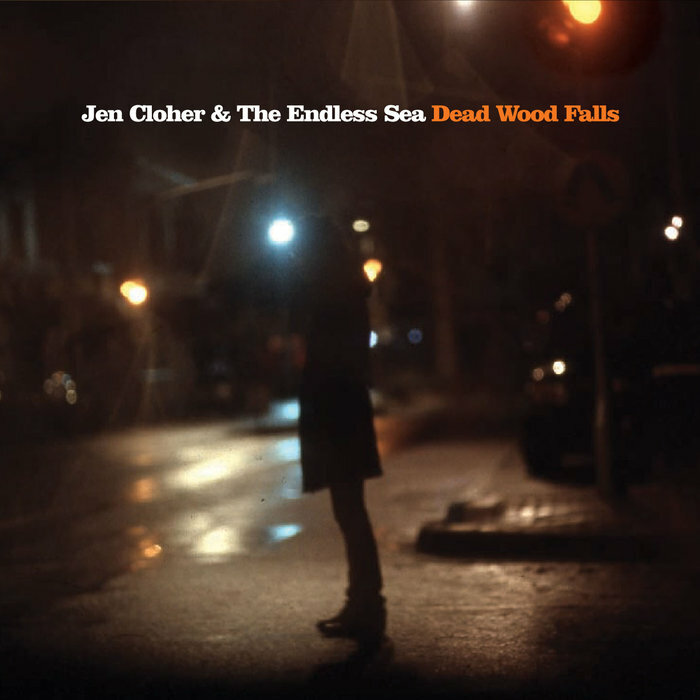 In fact, if you want to make it - or even get close to having any type of success - in Australia, you'd do well to read and listen to Jen Cloher talk about the industry, and take copious amounts of notes. You'll find gems like, "Don't go into debt for the music business," and "Find your community." A fierce advocate for women in the industry, Jen delivered a speech earlier this year at a women in music breakfast for One of One called Women in Australian Music Can No Longer Be Erased from the History Books. And wowtown. Boom! It ended up as a blog post that went viral. Now, over the next few weeks for Double J, it has just been announced that Jen will be presenting 100 Songs By Australian Women You Need To Know, and by the looks of the first 25 songs just played on the program, it's going to be a cracker of a list. 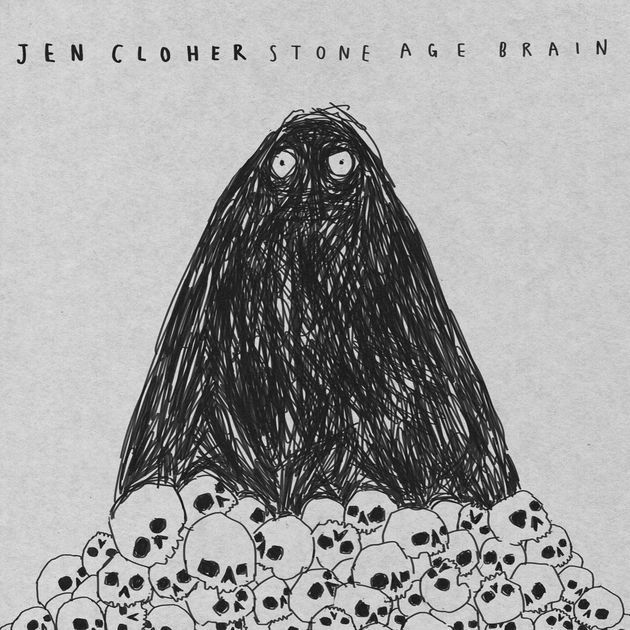 But finally, and most importantly, Jen Cloher is a stellar singer and songwriter, and her latest self-titled album is brilliant. Recorded in rural Victoria with her band of six years, these eleven tracks are filled with heartfelt vulnerability and honesty and topped with a beautiful sophisticated maturity in its instrumentation and production. The lyrics and stories are very personal, but that's not our story to tell. Listen to the album and let Jen tell her yourself. What we can say is that her band is so tight, so wonderful, filled with guitar licks for eons, and capture a very special bond between members of an epic band. Get Jen's music into your ears and her business savvy into your brain. Jen spoke with Music Love about her music and the industry, and here, without edits are her musings on her album, balancing her professional and personal relationship with Courtney Barnett, and of course, her love for the musical sisterhood. On the wonderful reception of the album from fans and critics. And the amazing thing has been seeing how much - not so much reviewers, they've written great reviews, which is awesome - but people have really connected with the album. Which I hadn't really thought about. I hadn't wondered if people would connect, and to see that happen has been wonderful. Because that's what you want - that's why you put music out, so that people connect with it and get something from it. I don't really write for anyone except myself and that's why I'm so happy to see both the music industry and the general public or music fans connect with it. Because that's the greatest thing you know - you can be yourself. This album is very honest and direct and heartfelt - it has a lot of heart. To see people receiving it has been the biggest reward. To see people connect with the human-ness in the album. The great thing is I have a band that I've been recording and playing with for six years now - Courtney Barnett, Bones Sloane and Jen Sholakis. Jen's been my drummer for thirteen years so we have a really lovely understanding of each other, musically. So the great thing is I spend a lot of time writing and arranging the songs just at home and then I'll take them to the band and a few things will change. And they'll bring their own skills and talents to interpreting the music. I think that's really the key is that I have a band that really understand without any conversation needing to happen. So once we get to the studio to record - and the reason I chose to record this album as a live album - all of us playing direct direct to tape - is because I know this band is at its strongest when we are playing together, and you get wonderful performances because everyone is in the space, and is listening to each other, and taking the song where it needs to go. We were recording in country Victoria, in the Gippsland part of Victoria, in an old bakery. Which kind of had the feeling of a barn, almost, in shape. And Greg Walker who helped produce and record the album has been operating this studio for at least ten years from that space so he really knows how to pull the best sounds - he knows the room. It was lovely. It was a relaxing environment because there was no mobile reception. There were birds singing outside the window, there was lots of natural light. There was a really cute cat who would come in everyday. And we didn't really work stupidly long hours. We'd start at 10am and finish by 6pm or 7pm. And then go back to our accommodation down the road and cook meals and hang out with partners, It felt more like a holiday than a recording session. It's funny, because I think we respect each other as songwriters and musicians. And we understand that writing music as a singer/songwriter is a very solo pursuit. No one can write the songs for you. You have to sit there and do it yourself. Sometimes that can be easy and fun, sometimes it can be really hard. And so I think we both leave each other to our own thing. And we only comment if the other person asks for our opinion. So, I guess the best way to put it is, unless I ask for Courtney's opinion I don't comment and vice versa. It's not like we've ever set that up as a rule. It's just something unspoken that you respect the other person's choices. And Courtney plays in my band and traditionally the singer/songwriter calls the shots. We're not a band like Crowded House. So it is very much my vision, and so I think it keeps it all nicely defined. I love playing with her. She's just so amazing. I feel so lucky that my partner happens to be one of the most incredible guitar players in the world. Her playing on this album is like WTF - seriously. On the musical sisterhood in Australia. I've always gravitated towards my musical sisters. Probably two of my closest friends in music are Mia Dyson and Liz Stringer and we've actually recorded and toured together as Dyson Stringer Cloher about four years ago. We did a big tour of Australia. It was really cool being up on stage together. Because both of those women are independent and have been self-managed at different parts of their career, they understand the realities of trying to make it work in this huge country which doesn't have the biggest population to support independent music. Just having those shoulders to cry on and to be able to turn to someone to say, "Oh my God, it's so hard this week, " or, "I'm really struggling," or, "I just lost money on a show," or, "I don't know why I just did that." It's fantastic. I often say the most important people in your career are other musicians because they're the only people who are ever going to understand what it's like to be where you are. So I think that sisterhood has always been there and it feels like it's getting stronger, and I hope that it continues to be a thing because there's no need for competition and jealousy - those are two of the most erosive and damaging things that can happen if you let them in. In the independent music making world, there's not a lot of room for ego because you don't really make much money and there's nothing glamorous about managing your own tour, so it's really good for humbling you very quickly. On performing the new songs. I'm really excited. The album was recorded live so it translates really beautifully onto a stage. You get the songs as they were intended to be heard. It's great as well, I imagine most of people that will come along to the show will have listened to the album once or twice so there'll be some kind of connection and recognition which is great to be able to see people react in real time to the songs you've written. The reason why you perform live is because of the audience. And when a show is going really well, that divide between the stage and audience opens up and it feels like energetically like one, I don't know - like it's focussed and you're all in that space together in the song. And that's what I love. that magic that can happen when you play live. On whether she considers herself a leader and advocate for others. I guess in some ways, but I do think maybe in the last five years or so, because I've helped to start a [record] label and I guess watch it evolve and become something that is real that people identify with. We have quite a few artists on there at varying stages of the careers. And also the workshops I've been running for the last six years called I Manage My Music, where I talk with other artists and industry professionals with a room full of independent and self-managed artists, I've really come to understand how it works certainly from a DIY independent level. How the music industry and community works. And in that regard I feel like I've become a leader to some extent because I have a deeper understanding and people come to talk to me about different aspects. I think leaders are people that other people feel they'd go and talk to about something. You become a bit of an expert in a field. I feel like I've certainly done the research on understanding on how does one have a sustainable music practise in Australia? On her favourite women in music. And the other woman I love - she's now working at Music Victoria but she was at APRA/AMCOS for years - is called Kirsty Rivers who is hugely in touch with the music scene in Victoria. And just one of those people that helps you, that wants to help you, that wants to to see music thrive. Those are the women in music that I really look up to and respect. As far as artists that I admire, I'm a big fan of Patti Smith, of PJ Harvey, of Gillian Welch, of Laura Jean from Melbourne - yeah, there are loads. But those are some of my favourites. "I am always heartened at how many women there are making successful careers for themselves in the Australian music industry."